You are here: Home / Blogs / Corporate Tax – Am I Paying Too Much? Corporate Tax – Am I Paying Too Much? Singapore has established itself as one of the leading countries in the world for doing business, as the country is currently ranked 5th globally for ease of paying corporate tax . But despite the country’s numerous pro-business policies and a low corporate tax rate, is it possible for companies to be paying too much in taxes? Whether your company is start-up venture, small-to-medium enterprise (SME) or a large multinational organisation, it is essential that you are aware of the various tax schemes and exemptions available to all businesses in Singapore. Singapore currently adopts a one-tier corporate tax system and the country’s corporate tax rate of 17% has been consistently ranked as one of the lowest in the world. Under the one-tier corporate tax system, tax paid by a company on its chargeable income is the final tax. A company’s corporate tax is calculated based on the net income earned by companies while exercising their business activities in the period of one business year. Comparative to many other countries, Singapore’s corporate tax rate is significantly lower. In its effort to encourage new start-up companies, the Inland Revenue Authority of Singapore (IRAS) introduced the Start-up Tax Exemption (SUTE) scheme for new start-up companies in 2005, which has undergone a further revision in 2008. Under this scheme, a newly incorporated company that meets the qualifying conditions can claim for full tax exemption on its first S$100,000 of chargeable income for each of its first three consecutive years of assessment. A further 50% exemption is given on the next S$200,000 of chargeable income for each of the first three consecutive years of assessment. Companies that don’t qualify for full exemption can still qualify for partial exemption. For those unfamiliar with how to compute your chargeable income or determining your year of assessment, contact us so that we can advise you accordingly. Do note that IRAS takes any abuse of the tax exemption scheme very seriously and there are serious consequences for the company in violation, as well as its directors. As at March 2013, IRAS imposed penalties amounting to S$919,110 to companies who were found to be abusing this tax exemption scheme and recovered S$1,013,782 in back taxes . Effective from year 2013, IRAS has also given a Corporate Income Tax Rebate, subject to a cap of S$30,000 per year of assessment. However, as this is automatically computed by IRAS based on your Estimated Chargeable Income (“ECI”) and Income Tax Return, i.e. your Form C or Form C-S, there is no action required by your company. Use our online corporate tax calculator to assess your company’s income tax liability for the current Year of Assessment. One of the best tax exemptions in Singapore is the Productivity and Innovation Credit, more popularly known under its acronym, “PIC”. PIC can enable your business to enjoy up to 400% in tax deductions and allowances or a 60% cash payout for investments in innovation and productivity improvements. To understand whether your expenditure is considered as qualifying PIC expenditure,consult our corporate tax specialists. We can advise you on what constitutes as qualifying expenditure, the application procedures and can assist you to liaise with IRAS with regards to any queries that you may have. As part of Singapore’s efforts to establish itself as a knowledge hub, Singapore grants writing-down allowances on capital expenditure incurred in acquiring intellectual property rights, such as patents, copyrights, trademarks, registered designs, etc., under Section 19B of the Income Tax Act. To qualify, the company that acquires the intellectual property rights must acquire the legal and economic ownership of the intellectual property rights. While most writing-down allowances for intellectual property rights are typically granted on a straight-line basis over a five year period, certain approved intellectual property rights such as films, television programmes, digital animations, games or other media and digital entertainment contents acquired by an approved media and digital entertainment company for the purpose of its trade may be granted the allowance over a period of two years instead. When am I at Risk of Overpaying Corporate Tax? In a situation where there is an advance payment made in anticipation of a tax assessment, it is possible that you may end up overpaying Corporate Tax. While most tax refunds are made automatically without taxpayers having to file a claim and a refund will be credited within 25 days, there are instances where IRAS may not make the tax refund automatically. For example, if IRAS does not have the necessary information required to make a refund to you and its requests for this information have not been answered, IRAS may be unable to make this tax refund. Hence, it is crucial for a company to engage an experienced and professional tax agent, who would be able to assist the company in keeping track of refunds and assist the company to liaise with IRAS on its behalf. To check when refunds have been made, you are required to log into IRAS’s e-service portal with your IRAS PIN or SingPass. If you have other outstanding taxes or penalties due, the tax credit will be used to offset the outstanding liability. Your tax credit is less than $15, for your convenience, the credit will be used to offset your future tax liability. If you have made an advance payment in anticipation of a tax assessment. Your tax credit is a result of GIRO deductions in respect of your provisional instalment plan, and your tax assessment has not been finalised for that Year of Assessment. If you have one or more outstanding GST returns not filed. You are under audit or investigation by the Comptroller. If prior attempts to refund the credit have been unsuccessful. You have failed to comply with any of our requests to furnish necessary information to effect the refund. If IRAS lacks sufficient information to effect a refund to you. If you have not replied to any outstanding assessment enquiries which may have impact upon the tax position. Your company has been dissolved, any credit in the company’s account with IRAS will be paid over to the Insolvency and Public Trustee’s Office (IPTO). The shareholders of the defunct company may approach IPTO to claim the credit. For procedures on how to make a claim, please refer to IPTO’s website. If there is overpayment as a result of Withholding Tax under Section 45 of Income Tax Act remitted to the Comptroller of Income Tax. Refund claims need to be filed by the local payer who remitted the tax or non-resident whose income was liable to tax. Upon agreement by IRAS that a refund is due, IRAS will inform the local payer or non-resident and the credit will be refunded 30 days from the date IRAS agrees that there was an overpayment of tax. There will be no automatic refund to ex-owners of a property for credits that arise from claims approved after the sale of a property. Refunds to the ex-owners will only be processed upon ex-owners’ request within the time period stipulated in the letter sent by IRAS to the ex-owner. If there are any other circumstances that may not permit the credit to be refunded by IRAS. In addition, paying taxes when they are due is essential in ensuring that you minimise the penalties that may be imposed by IRAS. For example, a GST-registered company that fails to pay to as per its GST return within one month from the end of its accounting period will have to pay a 5% penalty and an additional penalty of 2% per month on tax remaining unpaid after 60 days from the due date. Similarly, a GST-registered company can segregate its purchases and potentially claim input tax from IRAS for local purchases and imports. Having a good tax agent who can advise the company and regularly give the company advance notice on when tax is payable could turn out to be a smart investment for your company. 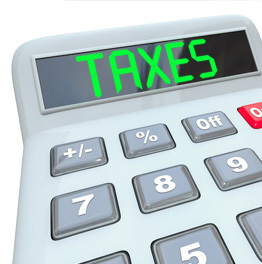 Tax Lingo – What do you need to Know? Otherwise known as Capital Allowances, tax depreciation relates specifically to plant and machinery used in a trade, business or profession. Your company can claim for Capital Allowances if there is expenditure incurred for plant and machinery, for the purpose of your company’s business and to produce income. Examples of plant and machinery would include computers, automated equipment, and motor vehicles. IRAS may, at its discretion, require the company to provide sufficient documentation to substantiate a claim. An example of what IRAS may require would be documentation to show the connection between the expenditure incurred for the plant and machinery and your company’s business activities. The working lives of plant and machinery can be classified into 5,6,8,10,12 or 16 years, and there are a few methods of calculating tax depreciation in accordance with Section 19 and Section 19A of the Income Tax Act. Hence, depending on your company’s business, the method of classification may differ accordingly. A professional tax agent would be able to help you assess and determine which classification of tax depreciation your plant and machinery fall under. For the purposes of the Income Tax Act, capital expenditure excludes legal fees, registration fees, stamp duties and other similar costs. Do take note of what constitutes capital expenditure and what does not. Otherwise, when submitting claims to IRAS, the company runs the risk of unintentionally overstating its claim and penalties on the company may be exposed. In the worst case scenario, IRAS may request an audit of the company once a discrepancy has been noticed, which may affect its approval of future claims made by the company as well. Non-taxable Income Capital gains, sale of fixed assets, gains on foreign exchange on capital transactions, exempt shipping income derived by a shipping company, foreign-sourced dividends, branch profits and service income received by a resident company that satisfies the qualifying conditions, and other income exempted from tax under the provisions of the Singapore Income Tax Act. Qualified Business Expenses Expenses that are wholly and exclusively incurred in the production of trade income, such as wages, office rent, services fees, R&D expenses, and so on. Do note, however, that while expenditure incidental to the construction of a building that belongs to the company, land cost does not qualify as business expenses. Unutilised Losses The loss must arise from the carrying of a business and has not been utilised previously. If the losses cannot be fully adjusted in the relevant year of assessment, the remaining portion can be carried forward to the next year of assessment. Losses can be carried forwarded indefinitely subject to certain conditions. Unutilised Donations Donations that are made to approved institutions of a public character. Net Investment Income Net investment income is calculated after deducting (i) all the investment income from chargeable income, (ii) investment related qualified expenses from the investment income for each type of investment income; and (iii) adding the balance net investment income for each type of investment. For a detailed assessment of your business and the tax exemptions that you can apply for, we can certainly advise you.